First trailer forDarren Aronofsky's 'Black Swan,' starring Natalie Portman, Vincent Cassel, Mila Kunis, Barbara Hershey and Winona Ryder. 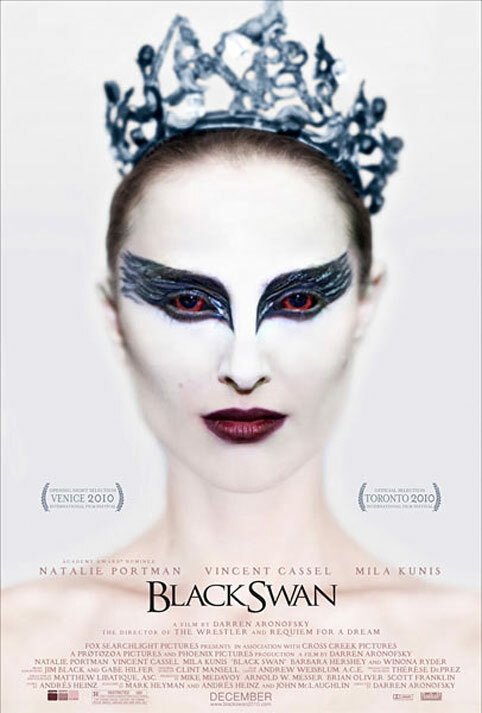 'Black Swan' is the story of Nina (Portman), a ballerina in a New York City ballet company whose life, like all those in her profession, is completely consumed with dance. She lives with her retired ballerina mother Erica (Hershey) who zealously supports her daughter's professional ambition. When artistic director Thomas Leroy (Cassel) decides to replace prima ballerina Beth MacIntyre (Ryder) for the opening production of their new season, Swan Lake, Nina is his first choice. But Nina has competition: a new dancer, Lily (Kunis), who impresses Leroy as well. Swan Lake requires a dancer who can play both the White Swan with innocence and grace, and the Black Swan, who represents guile and sensuality. Nina fits the White Swan role perfectly but Lily is the personification of the Black Swan. As the two young dancers expand their rivalry into a twisted friendship, Nina begins to get more in touch with her dark side with a recklessness that threatens to destroy her.